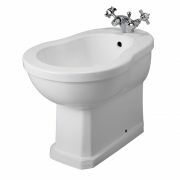 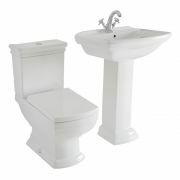 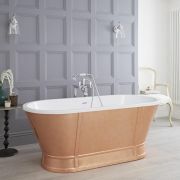 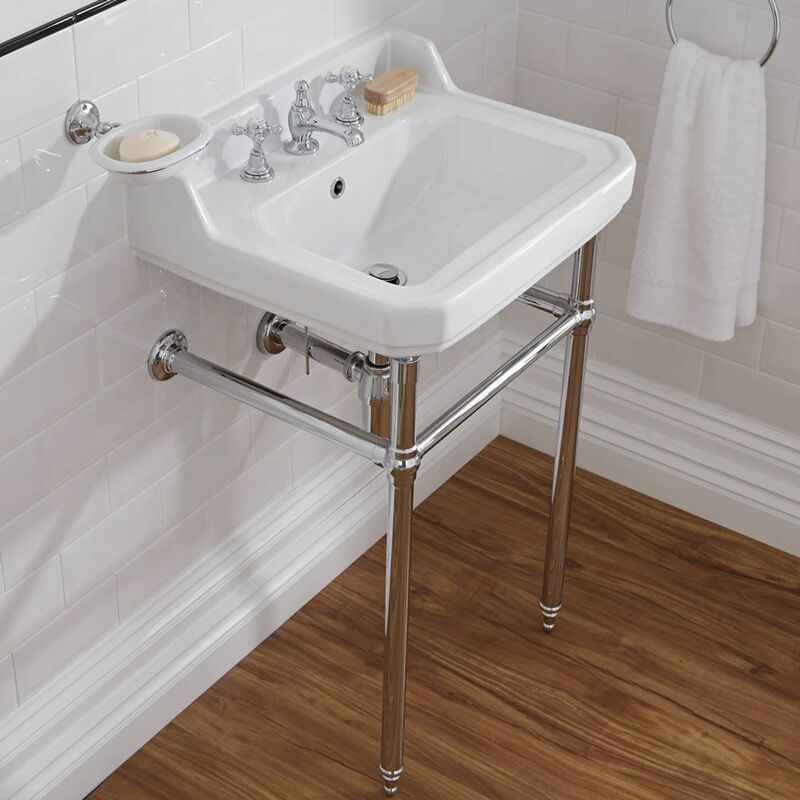 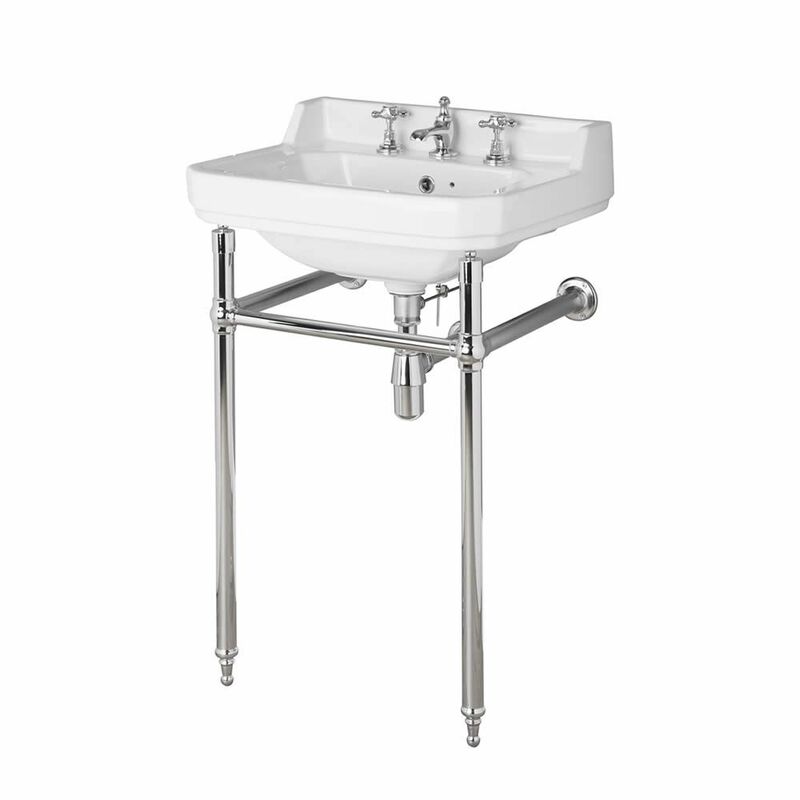 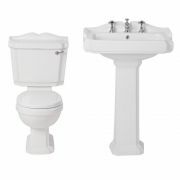 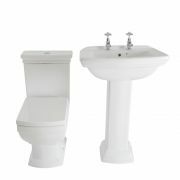 The Milano Richmond 560mm basin and washstand is sure to make a style statement in your traditional bathroom. 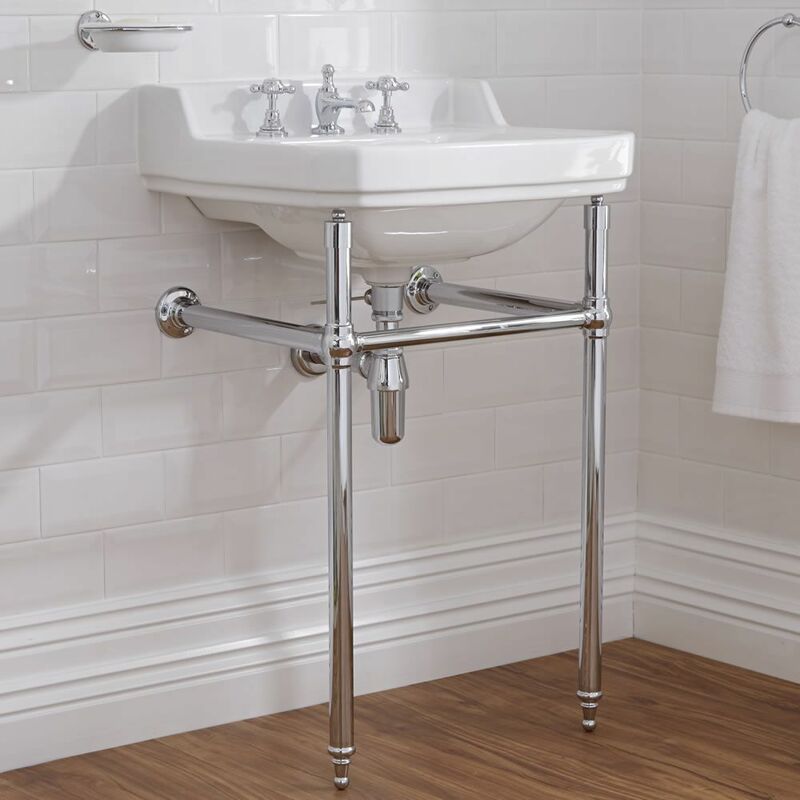 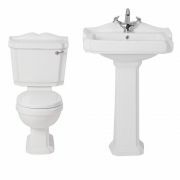 Perfect for creating a timeless and elegant look, the Richmond basin incorporates ample wash space and it features a hard-wearing easy to clean white glazed finish. 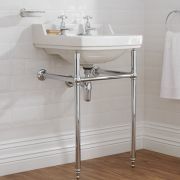 The basin has been made from premium quality ceramic, while the washstand has a solid brass construction with a durable chrome finish. 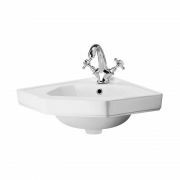 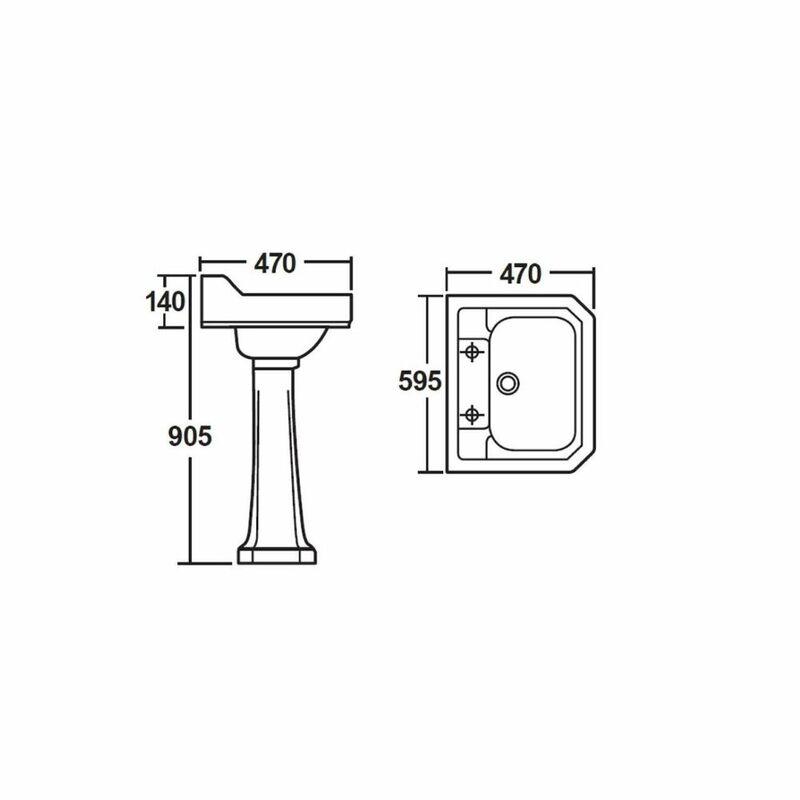 The basin has three tap-holes, so why not choose from any of our traditional style three tap-hole basin mixer taps to complete the look?